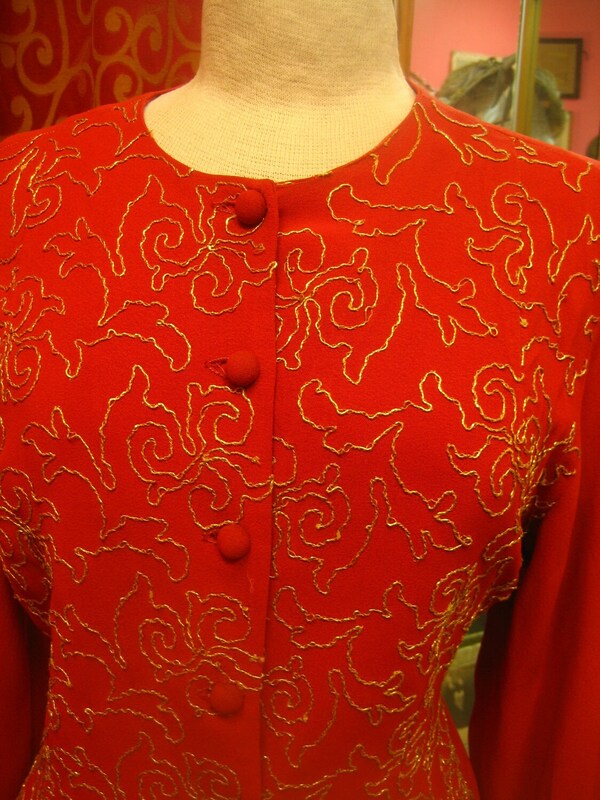 1940's, 38" bust, red crepe embroidered long sleeved top. Front of top is embroidered with gold swirls in gold thread, back of top is plain. 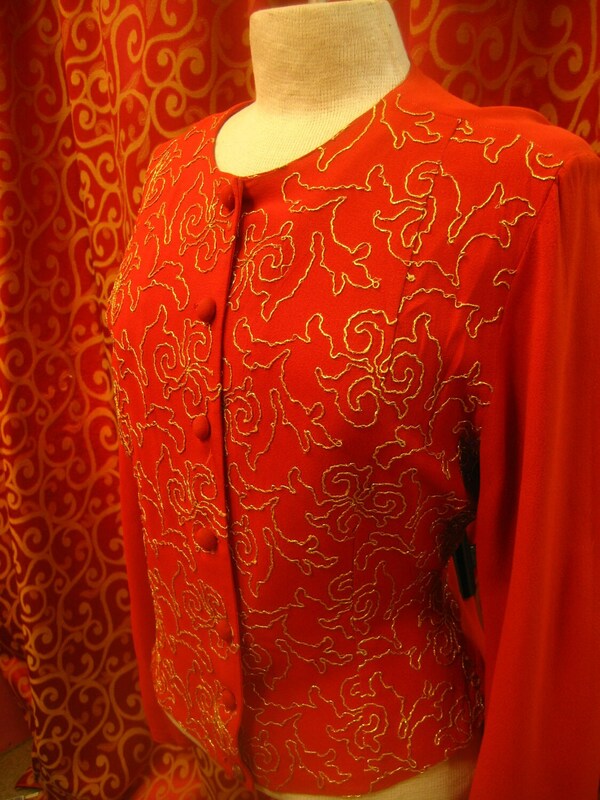 Red round material buttons fasten top in front, from neck to hips, with indention at waist. 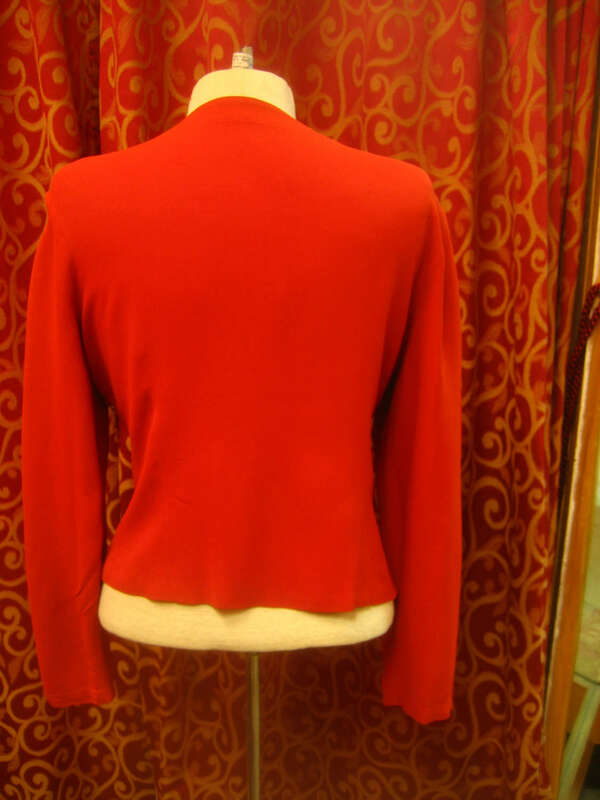 Sleeves are long and straight and are square at the shoulders.